German leader Angela Merkel says the current world order is under threat—This was a comment that was made at the famous Davos meeting of world leaders and business leaders this week. The world under threat—what does she mean? Well…she is worried about the nationalist movements—nation first thinking that is taking hold in countries such as: Poland, Hungary, Austria, England, the United States, Russia, China and even Germany. The German Chancellor believes in the community of nations approach to solving problems—that we all work together for the common good, and that means that individual nations should give up their sovereignty to a great degree—she does not believe in America first, or Poland first or Germany first, or to the Russia first way of thinking. You don’t hear much about Poland in the news here in the States—but Poland is important—let’s take a moment to discuss this pivotal country. • Poland is the most religious country in Europe (It is 88% Catholic, their weekly church attendance ranks the highest in Europe, even higher than in Italy). • Major cities; Warsaw (capital) 1.742 million; Krakow 764,000. • Roman Catholicism is so popular in Poland that there is a television channel dedicated to the pope. • Poland’s history can easily be summed up as a continuous struggle against invasions. Poland suffered terribly during the 2nd world war—it was sandwiched between 2 monsters: Hitler and Stalin. • Between the 1939 invasion of Poland, and the end of World War II, over 90% of Polish Jewry perished. Six death camps (Auschwitz, Belzec, Chelmno, Majdanek, Sobibor and Treblinka) were founded in which the mass murder of millions of Polish Jews and various other groups, was carried out between 1942 and 1944. • Poland lost 6 million citizens in World War II— 3 million were Jews; Poland had the largest concentration of Jews, more Jews living in Poland than in any other European country. 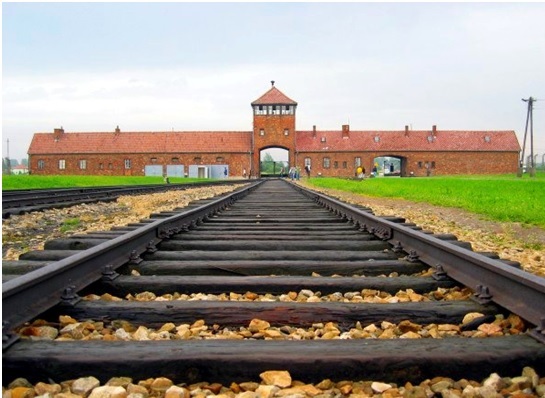 • An estimated 1.3 million Jews were murdered at the twin camps, Auschwitz I (the original camp), Auschwitz II–Birkenau (a combination concentration/extermination camp). • With a population of nearly 40 million and a half-trillion-dollar economy Poland is now the world’s 24th largest economy. • Since Poland completed the transition from Communism to democracy in 1991, its economy has been growing at an average annual rate of 4 percent and, remarkably, has not suffered a single year of negative growth. • Poland’s Law and Justice (PiS) government rules the country; the Party is pro-US, anti-Russia, and cool to the leadership of Germany’s Angela Merkel. • Poland is rapidly increasing its military power. • Poland, along with Hungary, has refused to take in any refugees under a 2015 deal that was supposed to allocate 160,000 people among EU member countries in order to take the burden off Greece and Italy. Germany’s Angela Merkel is upset with Polish leaders for not complying with EU rules regarding refugees. • Despite being in the EU, there’s little appetite in Poland to create a West-European style multi-ethnic society. It is true that the tide of nationalism that is on the rise around the world finds its footing in anger. People are angry. Look at Poland, one of the most dynamic countries in Europe. The Polish people supporting the Polish government, is refusing to take in refugees from the Middle East and North Africa—this angers the European Union. Poland, in particular, will force policymakers in Brussels to decide what to do with an elected government that chooses not to adhere to EU laws. Poland and others like it will resist whatever the EU tries to do to bring them to submission. The Scriptures reveal that in the “last days” of human authority a vast and powerful religious system (Catholic system), will have astonishing influence on a union of nations that is gradually, but surely, emerging on the European continent (Revelation 13). 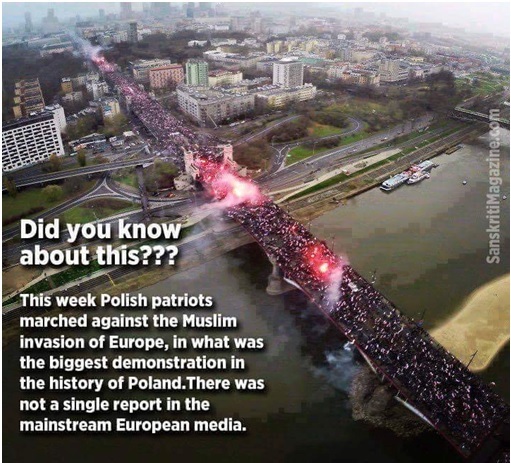 Poland will be a big part of this end-time structure; remember– Poland is the “most Catholic country” in Europe, considered to be more devout than Italy. Poland matter, watch Poland! 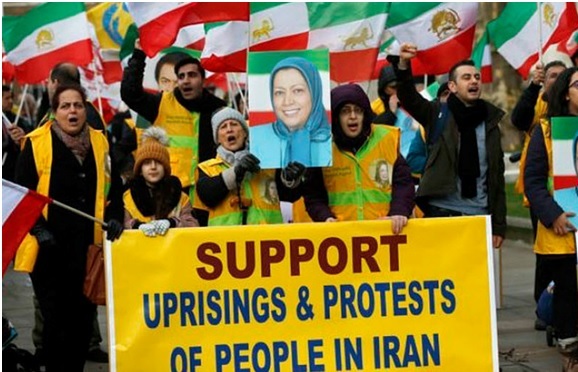 Over the past 4 weeks we have seen Iran hit by a wave of protests. Students, middle class and the working class poor have demanded that the government do something about rising food prices and high unemployment. The protests have spread from the northeast part of the country to many villages and towns throughout the country. These protests are growing in size, and they are very difficult to control—the Iranian leadership is worried. The demonstrations have turned increasingly hostile with protesters chanting anti-regime slogans such as “death to Khamenei,” “the Khamenei’s regime is illegitimate” and “free political prisoners.” The protests are driven by widespread observations that the ruling class (under the religious clerics) has become harsh, dishonest and self-serving, producing exhibiting apathy and discrimination—the government just doesn’t seem to care about the people. Iranian leader Ayatollah Khamenei is now 78 and in poor health; meaning a fight is on the horizon over the selection of the next supreme leader. His death will open up divisions that already exist within the nation—Iran is a very divided nation; there are many different factions vying for power throughout the country. Also take note; that the international nuclear deal, aggravated rather than healed rifts between the reformist and conservative factions within the country. Iran signed the nuclear deal because it hoped to lift sanctions and open the door to international investment in the country. The economy has improved, but not as much as hoped for. Also, few international companies have made significant investments in Iran; business people outside of Iran do not trust the Iranian regime, so are unwilling to risk large amounts of capital investment in building their business in the country. The lesson for us is that at times lying demonic spirits work through government advisors [types of false prophets] to prevail upon leaders to make foolish decisions. How will the leaders of Iran deal with the protests—harsh crackdowns may not work? Economic trouble can quickly lead to massive unrest among Iranians. Will the protests grow or will they fade. We will watch this situation very closely.